The Grimm TV series was a surprise hit for NBC on Friday nights last season. Will the TV show’s ratings hold up in season two? Below are the TV series’ ratings for the 2012-13 season, the best way to tell if Grimm is going to be cancelled or renewed for season two. 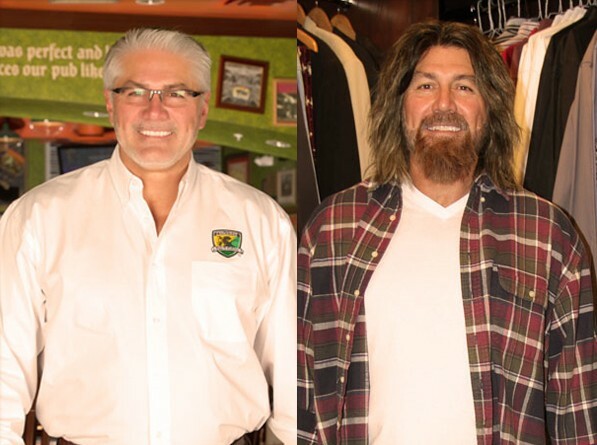 The show typically airs on Monday or Friday nights. Final season averages: 1.6 rating in the 18-49 demographic with 5.18 million total viewers. 1.7 in the demo (0% change) with 4.99 million (-7% change). Season averages: 1.63 in the demo with 5.18 million. 1.7 in the demo (-6% change) with 5.36 million (-6% change). Season averages: 1.62 in the demo with 5.19 million. 1.8 in the demo (-5% change) with 5.67 million (-2% change). Season averages: 1.62 in the demo with 5.18 million. 1.9 in the demo (+46% change) with 5.77 million (+19% change). Season averages: 1.61 in the demo with 5.15 million. 1.3 in the demo (-13% change) with 4.85 million (-6% change). Season averages: 1.59 in the demo with 5.12 million. Note: NBC supposedly played an original episode on April 19th but it was either interrupted or not shown in most markets due to breaking news coverage. As a result, final ratings were not issued for the program. 1.5 in the demo (+7% change) with 5.13 million (+6% change). Season averages: 1.61 in the demo with 5.13 million. 1.4 in the demo (0% change) with 4.86 million (-3% change). Season averages: 1.62 in the demo with 5.13 million. 1.4 in the demo (0% change) with 5.00 million (+2% change). Season averages: 1.63 in the demo with 5.15 million. 1.4 in the demo (-7% change) with 4.91 million (0% change). Season averages: 1.65 in the demo with 5.16 million. 1.5 in the demo (-6% change) with 4.90 million (-3% change). Season averages: 1.67 in the demo with 5.18 million. 1.6 in the demo (-6% change) with 5.03 million (-4% change). Season averages: 1.68 in the demo with 5.21 million. 1.7 in the demo (-6% change) with 5.21 million (-8% change). Season averages: 1.69 in the demo with 5.22 million. 1.8 in the demo (-10% change) with 5.64 million (-8% change). 2.0 in the demo (+33% change) with 6.11 million (+22% change). Season averages: 1.68 in the demo with 5.18 million. 1.5 in the demo (-6% change) with 5.03 million (0% change). Season averages: 1.64 in the demo with 5.06 million. 1.6 in the demo (0% change) with 5.01 million (-5% change). Season averages: 1.66 in the demo with 5.06 million. 1.6 in the demo (0% change) with 5.29 million (-1% change). Season averages: 1.67 in the demo with 5.07 million. 1.6 in the demo (+7% change) with 5.32 million (+15% change). Season averages: 1.68 in the demo with 5.03 million. 1.5 in the demo (-6% episode-to-episode change) with 4.62 million. Season averages: 1.70 in the demo with 4.96 million. Season averages: 1.77 in the demo with 5.07 million. Season averages: 1.85 in the demo with 5.27 million. 2.0 rating in the 18-49 demographic with 5.64 million total viewers. Season averages: 2.00 in the demo with 5.64 million. 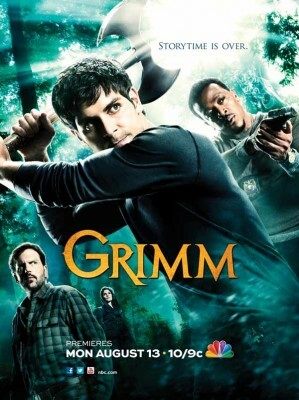 Reference point: The first season of Grimm averaged a 1.5 rating in the demographic with 5.02 million total viewers. What do you think? Do you like the Grimm TV series? Do you think it should be cancelled or renewed for a third season? Grimm: NBC Orders More Scripts, Full Season Next? Grimm is a 5 star program, everyone I know just love the show. Please renew it for many years to come. After the last show on season 2,I’ve been waiting for season 3 to start.Don’t leave the fans hanging . When’s the start date,I’m watching! Please don’t cancel Grimm…our family loves this show. GRIMM is an extraordinary show….The writers have imagination to come up with this stuff. I only wish I had that type (science fiction imagination…Sadly no, I do not, but I could have written a better finale.) Were you guys just tired? Who knew GRIMM could be so wierd, funny, and watchable. Brought to life by our old fairy tales? And to keep it German was really original too. Monroe loves his heritage and is proud of it! He is such an animated, colorfully funny guy, who is very modest about his strengths. Love this show! Please keep Grimm on. Love it. One of the best shows in a long time. Please do not cancel Grimm. My whole family loves this show! Grimm is by far my favorite show of all time and I am 60 years old. I only wish it was on every day instead of once a week. Love it, please renew it!!!! I love this show!!!! Its like a mystery with a twist !!! Is it being renewed. Tuesday’s show voice over said (and I quote): “…the last two shows.” It did NOT say “…of this season.” So now I’m worried. Grimm is addictive, Myself and 2 of my family members are avid watchers. I would be crushed if it got cancelled. It’s about time there’s a show that’s not your typical crime solving.